‘This is a classic example of how sport can make a big difference to the lives of so many young people’ – says football legend Marcel Desailly. Ahead of the start of the European Championships in France, the Laureus Real Heroes campaign is shining a light on a football projects improving. From helping young people in the poorest slums of Nairobi towards an education to bringing young people from different countries and cultures together in Germany, the Laureus Real Heroes are making a difference and improving the lives of young people through sport. The Laureus-supported Mathare Youth Sports Association (MYSA) project uses football to give youth a sporting chance and creating HIV awareness in the slums of Nairobi. The first project Laureus ever supported, MYSA engages with young people through football and helps educate them on a range of issues including health and wellbeing alongside assistance with schoolwork. 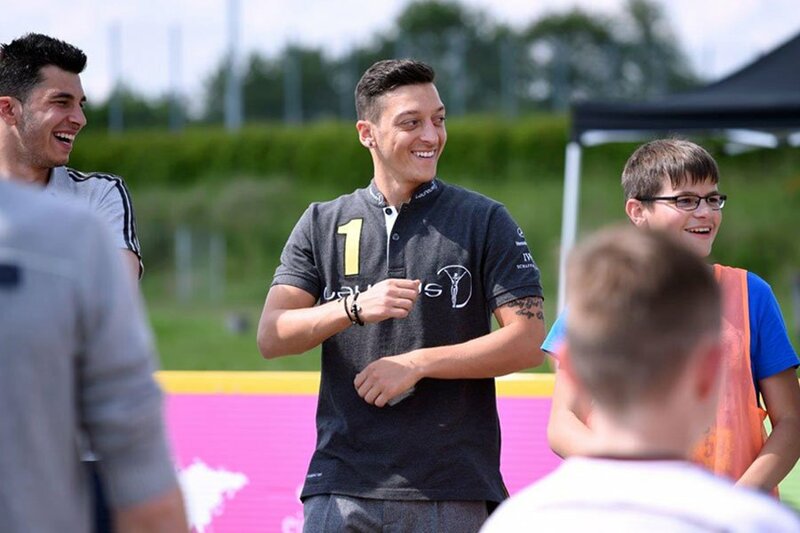 Arsenal and Germany’s midfield star who is well-known for his assists on the football pitch, met Marcel Mautz and Sebastian Fritz, two leaders at the KICKFORMORE project in Stuttgart. Both Marcel and Sebastian were lacked confidence and self-esteem before joining the project, today they are role models for the youngsters at KICKFORMORE. We also feature the story of Lara Wagner, who dreamed of sharing the same pitch as her idols Jens Lehmann, Carles Puyol and Raul. “I thought it was only possible to play against them on a games console,” she said. 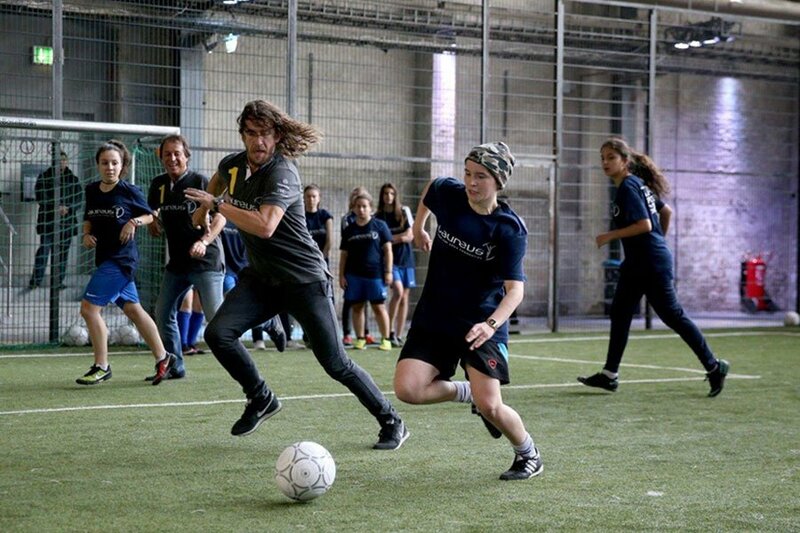 During a Laureus visit, the football legends were inspired by the Kicking Girls programme which aims to empower young women and girls through football. “It’s fantastic to see children’s eyes when they are smiling and having fun when they’re playing football,” said Laureus Ambassador Jens Lehmann.